Wide Hammered Silver Wedding Ring : LOVE2HAVE in the UK! 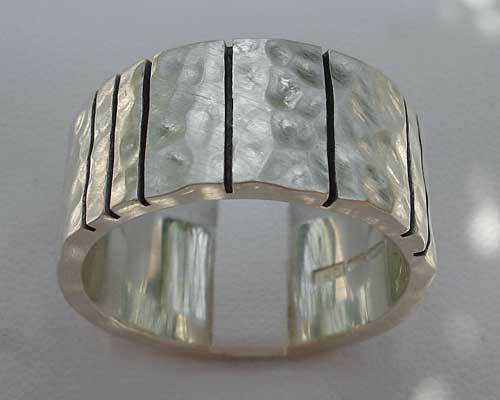 A 10mm width hammered silver wedding ring for men in a matt finish. 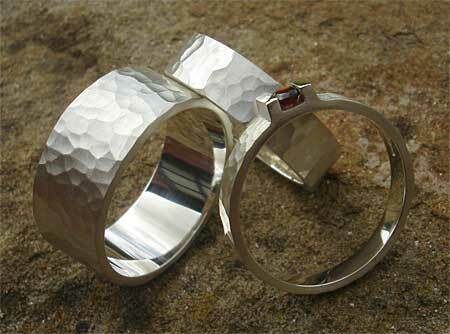 A very simple flat profile ring made from solid sterling silver for matching our other silver rings. You are probably wondering why we would recommend describing this product as a matching ring. Well, this ring is, in fact, the one that comes featured in our bridal sets section that comes as a set with its engagement ring. When we first featured these sets, we got asked if we could provide the plain ring on its own so here it is. It makes a great ring to match the silver engagement rings on our site (see image), or worn on its own as a wedding ring for him. Other widths are also available so if you are choosing bridal wedding ring sets then look no further.